Quality is a Family Tradition! In the fall of 1900 Isaac Franklin Hill was working at his blacksmith shop at a coal mine when he was struck in the eye by a piece of metal. After losing his eye to the injury, Hill found a way with the help of his wife to continue to provide for his family. With a combined interest for medicinal properties of herbs and time on his hands to recuperate from his injury, Hill came up with the idea of creating a home remedy called Union (black) Salve. 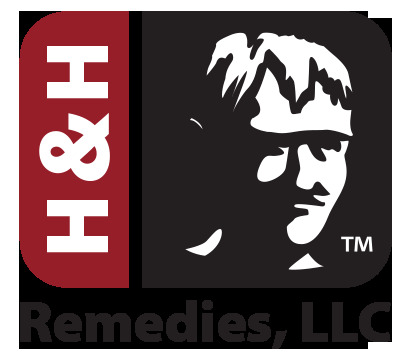 Over time, Hill soon recovered from his injury and his passion to create and expand his home remedies only increased as he began manufacturing and selling the Union (black) Salve product. Over the next 47 years, “Doc” Hill began to expand his business and development of new products such as Vapor Ointment and White Liniment. Although Hill is no longer with us, he has passed down to three generations of family the passion and desire to continue to create the home remedy products with the same quality, love and attention to detail for each product produced and packaged. Today the business is operated by Hill’s Great Grandson, David Cox. Homeopathy products treat the patient by stimulating the body’s own healing resources by small doses of more natural substance. Though small but effective these wonderful home remedies can make a difference and are a must for the medicine cabinet, or even your pocket. The Trial Sizes and 1 oz. of White Liniment are small and easily portable. Every jar or bottle is handmade with exceptional care and attention to detail. Our goal is to provide you with a product that exceeds your expectations. All of our products are manufactured to a quality standard giving you a smooth, consistent product in every container.